Sweden has built the first smart road that will allow electric vehicles to charge as they drive. 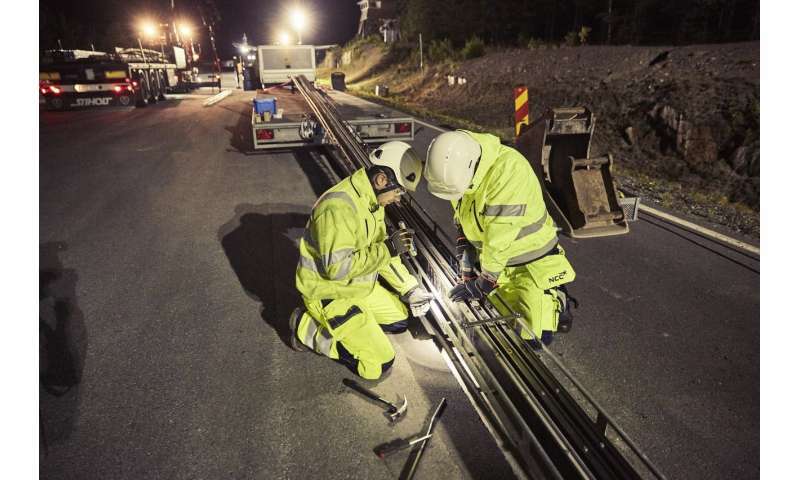 The eRoadArlanda pilot scheme, which covers two kilometres of road outside Stockholm, is an attempt to solve one of the biggest challenges that the transport industry faces. Namely, how to move freight and people in a way that neither damages the climate through greenhouse gas emissions nor the quality of air through nitrogen oxide pollution. The eRoadArlanda scheme is supposed to extend the range of electric vehicles beyond what was previously possible. Yet as an engineer, I have concerns about the durability of this road. Even more significantly, the cost of the technology and the disruption that building it causes is likely to restrict any mass scale replication. If this solution cannot be widely replicated then it is really no solution at all. Instead, a serious attempt to reduce hazardous emissions should focus on more practical solutions, such as the development of long-range batteries and the building of more electric charging stops. This new Swedish smart road will feel familiar to anybody who has played with slot car racing toys, such as Scalextric. Although, unlike slot cars, drivers will still have to steer vehicles. Instead, electric vehicles will collect power from charging rails set into the surface of the road. When on the road, a pickup arm attached to the bottom of the vehicle will extend downwards until it senses the rails, before slotting in and making electrical contact. This device is flexible, allowing the vehicle to move from side to side and the pickup can be retracted and reinserted in case a truck wants to overtake or turn off the road. eRoadArlanda extends the range of electric vehicles. But questions remain over the road's durability. To prevent electrocution or damage by the elements, the live rails are hidden from view. This means that vehicles can only begin charging when the pickup is inserted into the rail slot. One can imagine the damage that might be caused to the road and the vehicle if the pickup fails to disengage cleanly before the vehicle attempts an overtaking manoeuvre. An alternative technology that bypasses this problem is inductive transmission. Unlike eRoadArlanda, inductive transmission enables wireless charging. Conductors that are set into the road create an electromagnetic field, which then transmits energy to coils mounted to the bottom of vehicles. 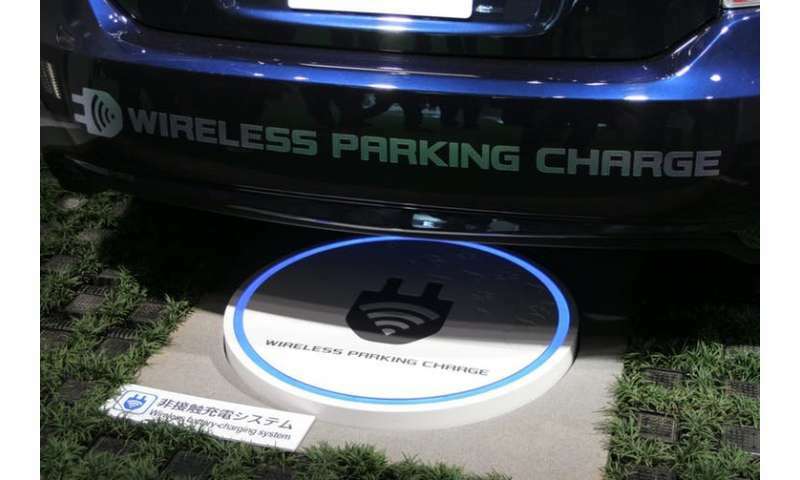 Such technology is already used by wireless phone chargers and can be adapted on a bigger scale for electric vehicles. Canadian manufacturer Bombardier has successfully demonstrated how this could work, and the US company Qualcomm has designed a system that has charged the racing cars of Formula E. Yet this technology, like eRoadArlanda, is particularly expensive and disruptive to install. Rail enthusiasts might claim that rail electrification has already solved the problem of clean, rapid movement of freight in a way that reduces road congestion. But rail transport can't deliver goods from door to door and only the largest manufacturers are able to justify the operation of their own rail terminals. Even with rail electrification, there is a need to move freight between rail and road, just as we need to connect rail links with ferry ports and airports. Battery charging on the move seems an attractive solution, particularly at a time when we have too few electric vehicle charge points. But the cost of eRoadArlanda (£870,000 per kilometre) and the disruption it would cause if it were extended nationwide, makes other options more appealing. For example, long-range batteries and hydrogen fuel cell vehicles have the potential to overcome issues of price, disruption and durability. In fact, these options are already becoming cheaper. The price of lithium-ion batteries has fallen by 24% since 2016 and will fall further as more people adopt electric vehicles. As batteries improve and get cheaper, digging up our motorways seems an extreme solution. Even something as simple as building more electricity and hydrogen recharging truck stops would be preferable to vehicle-charging roads. All vehicles spend a large part of their lives stationary, so a far simpler and less disruptive solution is to charge vehicles at stops and destinations as electric cars currently do. Whichever low carbon transport solution ends up dominating the market, we should not forget the options of transferring more freight to the railways or simply moving less of it around. This would require all of us to consume less and use products for longer. It might not be as exciting as building vehicle-charging roads, but extending the life span of products you already own, through recycling, refurbishment and remanufacturing is the cheapest and least disruptive way to reduce hazardous fumes. When you travel by car, you miss all the countryside that you travel past. thousands of pretty scenes that you would be happy to discover, that a painter can paint, you don't see them. The concern is the impracticality of a heavy, inflexible wire, that may have to go all the way around the car, with a large heavy plug which takes concentration to slot in, because supercharging your 400km of petrol in 30 minutes will be that inconvenient in 2025, and 600km in 2035... will also take 30 minutes... I suggest that the Swedes should spend their money on an IEEE commission about car charging ports, standards, to make them automated, easy, hands free, that they can slide the 30 kilos of copper cable on an overhead rail which turns on a hinge towards your charge port, and the charge port should have some kind of cone arrangement to find alignment, and a lever(like on intel processors) to lever the plug into the correct depth, and a detector to detect when the plug is ready to switch on. "The price of lithium-ion batteries has fallen by 24% since 2016 and will fall further as more people adopt electric vehicles." "Cheaper" thanks to child labor. "The demand for cobalt has increased in correlation to the global demand for ... electric cars, due to its use as a vital component in lithium ion rechargeable batteries ... mining related illnesses, child labour and an exploitative environment." 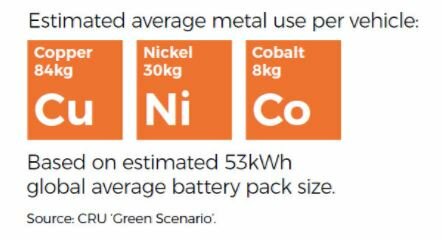 "each electric vehicle will require 84kg of copper, 30kg of nickel and 8kg of cobalt"